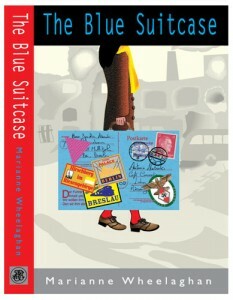 If you have anything you want to say about the Blue Suitcase, please let me me know by posting a comment below, or why not send me a review (to marianne@mariannewheelaghan.co.uk). This fact/fiction account of an ordinary girl pulled me into her life from the first page. Marianne Wheelaghan describes the life of a Christian, middle class family in Silesia [then in Germany] through the diary of Antonia, from 12years to 27. The diary is a window for the reader to gape through, mesmerised, amused, horrified, saddened at the unfolding scenes. Each character is realised in full 3-D, each responding to Hitler’s regime, war and defeat in different ways, putting unbearable strain on the family. The detail of living alongside Jewish people under persecution, discovering the reality of Hitler’s eugenics programme etc was chilling, and a loud whisper that this could happen again, and closer to home. Towards the end, after the war, Silesia is redistributed to Poland and the family’s life is finally and completely altered, destroyed even. 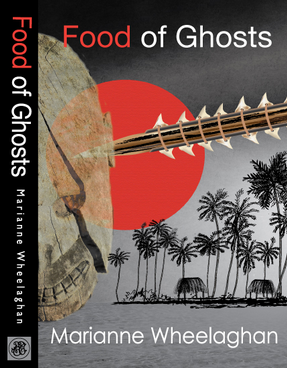 The moods of the novel are various but be warned the palette grows darker and darker, making it not one for the bedside table but always, unputdownable. A riveting read. A story that works well as a work of fiction but also acts to educate in some of the lesser known aspects of the National Socialist regime and the effects it had on real people in eastern areas of Europe at the time. The Blue Suitcase totally pulled me in & kept me to the end, an often uncomfortable read, sometimes disturbing in nature but totally compelling. A story that deserved to be told and read. This is a book that will stay with me for a long time. Based on the true events of a family caught up in the politics before and during World War II, it’s story that’s both moving and, at times, harrowing. Seen through the eyes of the young Antonia through her diary extracts and letters, the pace never drags. I found it a compelling and satisying read and I think this book should be compulsory on every school curriculum. I absolutely loved this book! What was it like to be born and raised in the middle of one of the darkest times of the 20th century? This is the diary of a young girl growing up on the “wrong side.” She tells the story about her country, the country that instigated and carried out horrors on Jews, suspected communists, homosexuals, the old and mentally ill and perverted the bonds that hold families together, turning husband against wife, brother against sister, until the inevitable breakdown of the family and society. Near the beginning of the diary, Antonia reveals that she hid a stolen coin in her brother Hubert’s room. It is discovered and Hubert is punished. Hubert believes that it was placed there by his other sister, Hilde and blames her for his beating from his father. 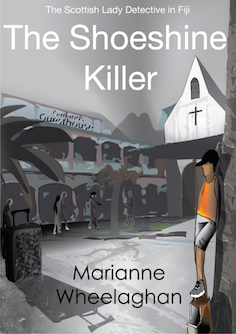 Antonia is too scared to tell the truth and is horrified that her brother was beaten. She knows her father would not have beaten her, if she had told the truth. Still, she says nothing. All around her, people were blamed for things they did not do and were punished while other people said nothing. This is a harrowing story that tells of the time after the official declaration of peace when thousands upon thousands of German people lost their homes, their livelihoods, their families and their lives. Perhaps it is time for this tale to be told; maybe there is enough distance from the horror of the 2nd World war to acknowledge the loss and devastation for all the people and nationalities that lived through this time, including Germans.